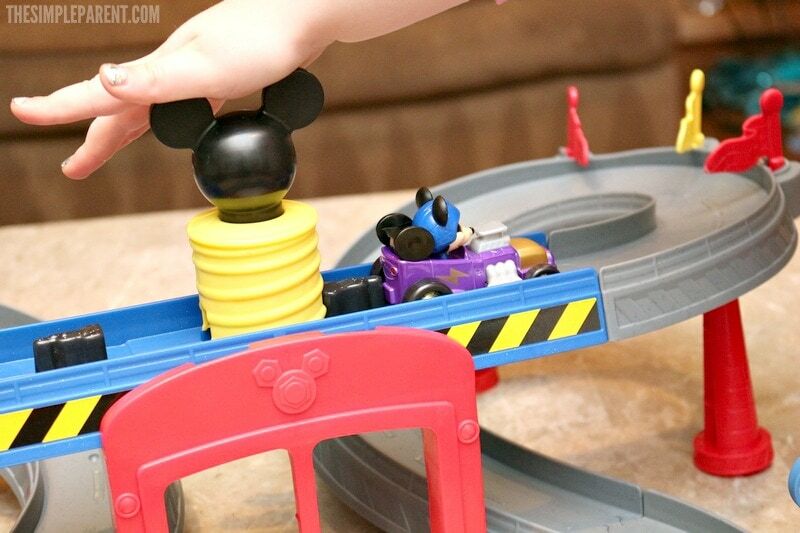 If your little one is a fan of Mickey and the Roadster Racers then they’ll love the Mickey Ears Raceway! It makes a gift idea this time of year! One thing I’ve learned since I’ve become a parent is that kids decide what they like and then they want to take it everywhere they go! My kids have been fans of Mickey Mouse Clubhouse for as long as I can remember, so when Mickey and the Roadster Racers made it’s debut we were thrilled! We’re huge fans of new Disney Junior shows! Weston has always loved toy cars and when Carrigan got old enough, his love became her love. She wants to be just like her brother! 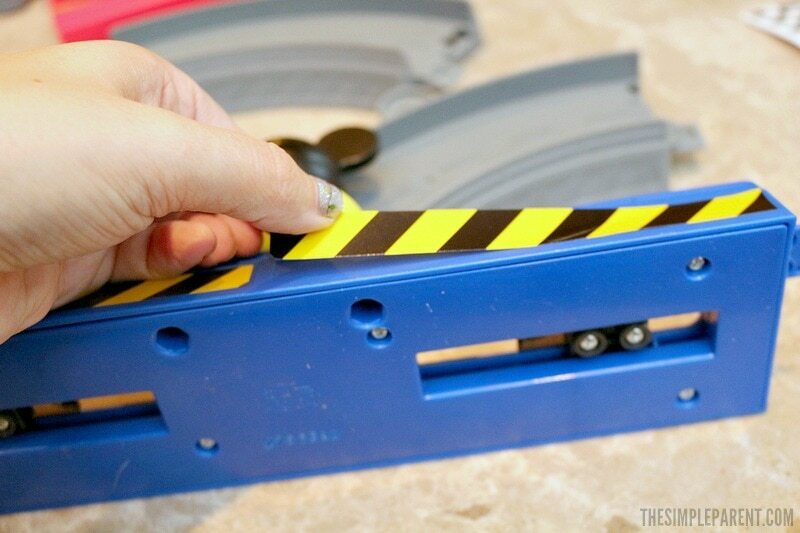 Add Mickey Mouse to die-cast cars and you’re sure to have a hit! My kids agree with me and the Mickey Ears Raceway has been getting a lot of love! 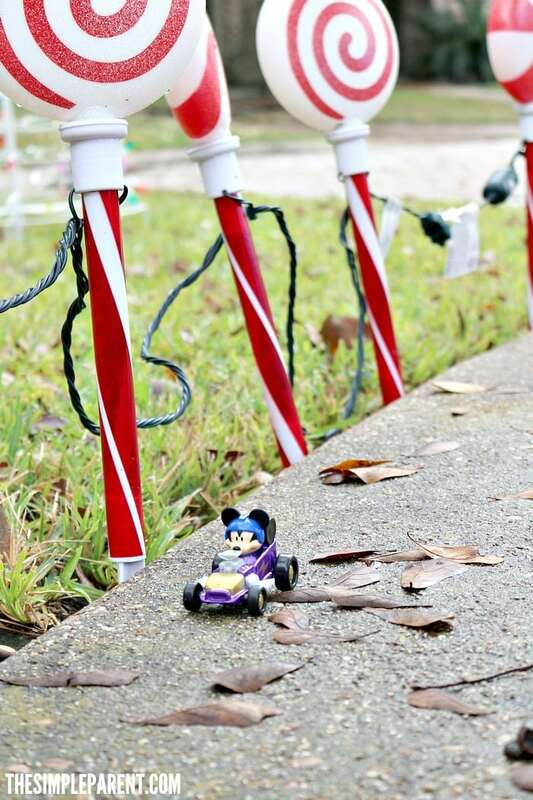 We watch Mickey and the Roadster Racers almost every day, so having the chance to bring our favorite characters to live with the Mickey Ears Raceway has been a ton of fun! 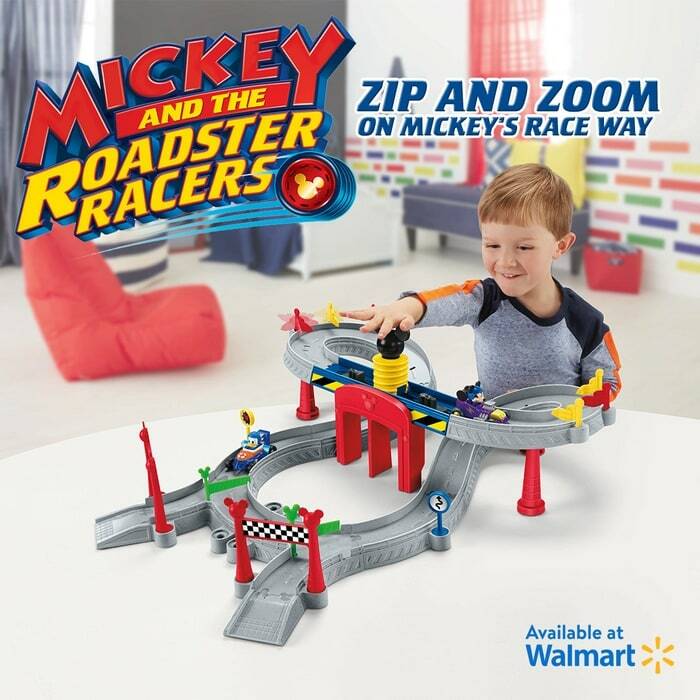 The Disney Mickey and the Roadster Racers – Mickey Ears Raceway is available at Walmart. **It is currently sold out but there is similar set available. 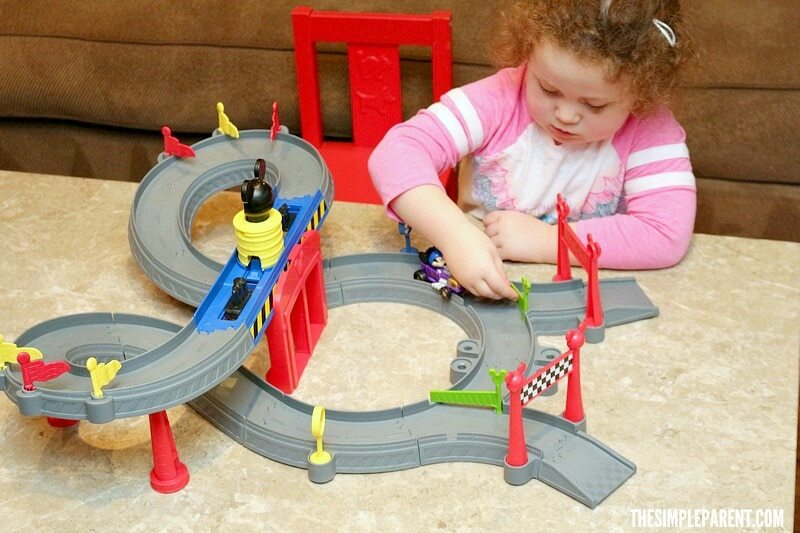 The Disney Mickey and the Roadster Racers Speed n’ Spill Raceway is another great set! 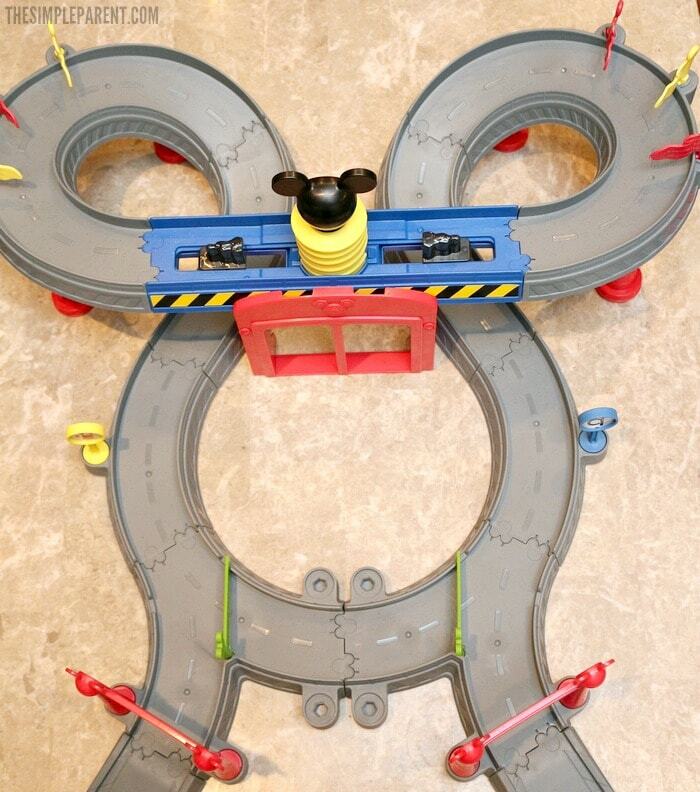 Both sets can be connected to make one larger set using the special Mickey Mouse-shaped connectors. 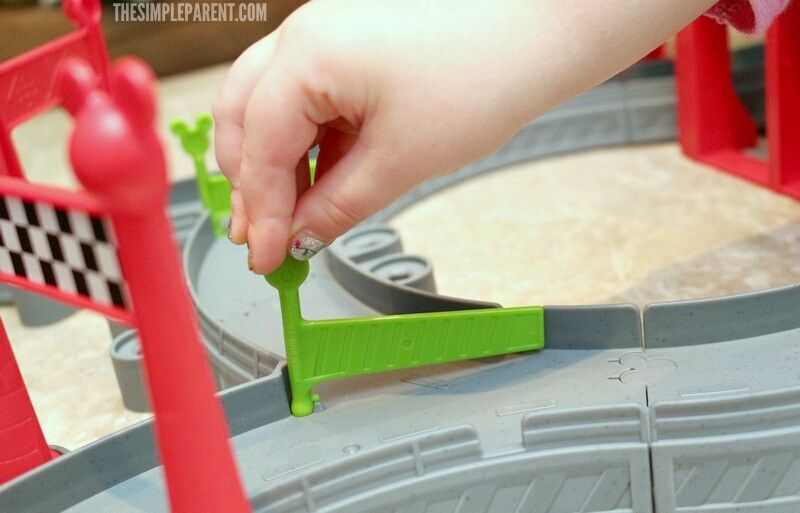 All of the Disney Junior Mickey and the Roadster Racers track sets can connect together and all of the Roadster Racers die-cast vehicles can be used too! 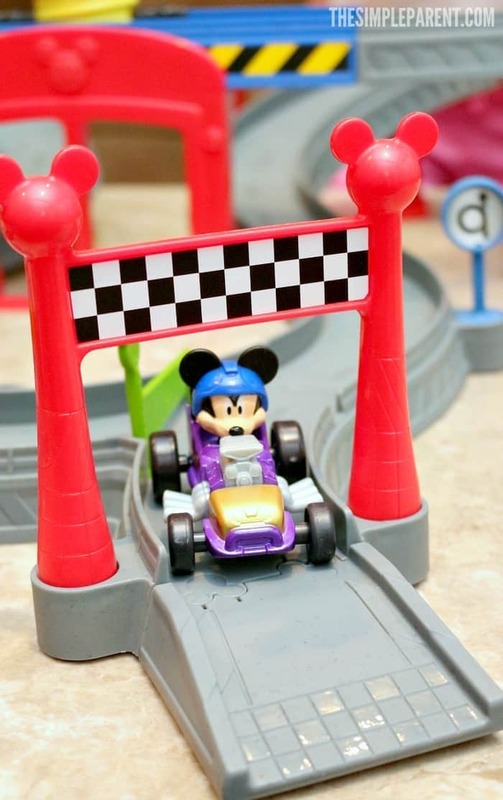 The Disney Mickey and the Roadster Racers – Mickey Ears Raceway gets a stamp of approval from both the kids and I.
Here’s what we, as parents, like about the Disney Mickey and the Roadster Racers – Mickey Ears Raceway. Both kids can play together! Here’s what the kids are loving about the Mickey Ears Raceway! You can launch two cars at once! 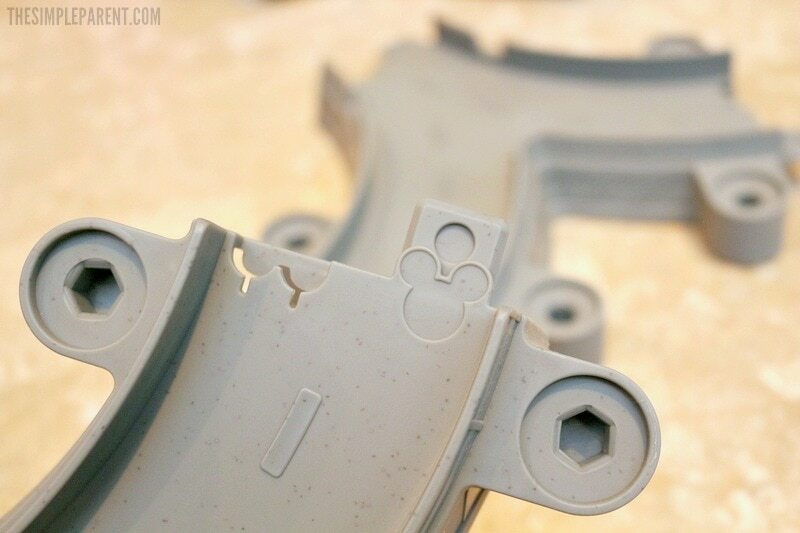 The racetrack has a hidden Mickey! 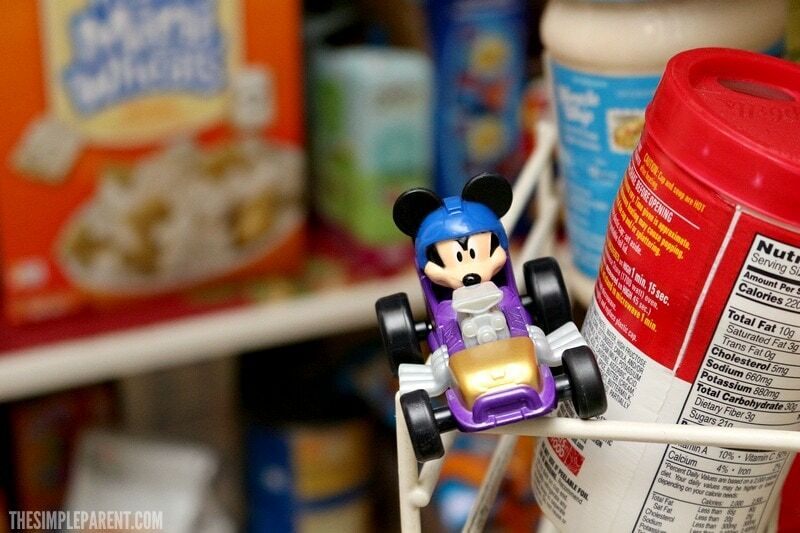 Mickey and the Roadster Racers is definitely a fan favorite in our house and the addition of the exclusive Mickey die cast vehicle from the Mickey Ears Raceway has created some excitement around here. 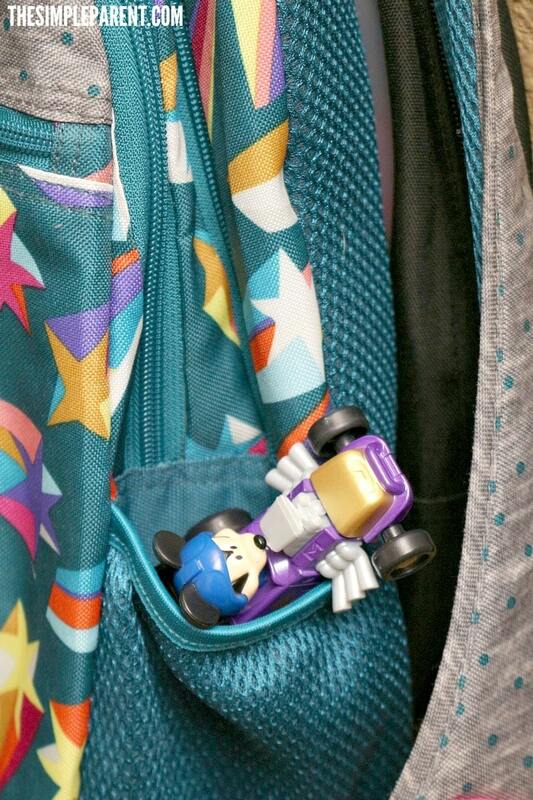 Mickey has been trying to go on all of our adventures with us recently! I’ve found him in the pantry, trying to sneak out of the house in a backpack, at swim lessons, in the van at car rider line, and even taking a drive down candy cane lane! Check out some of his adventures! 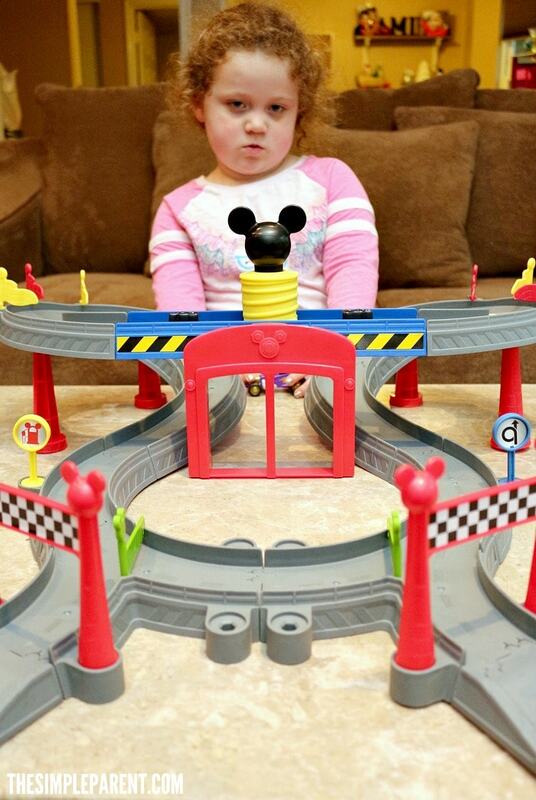 If your kids are Mickey Mouse fans and love racing cars, the Disney Mickey and the Roadster Racers – Mickey Ears Raceway is a great gift idea! 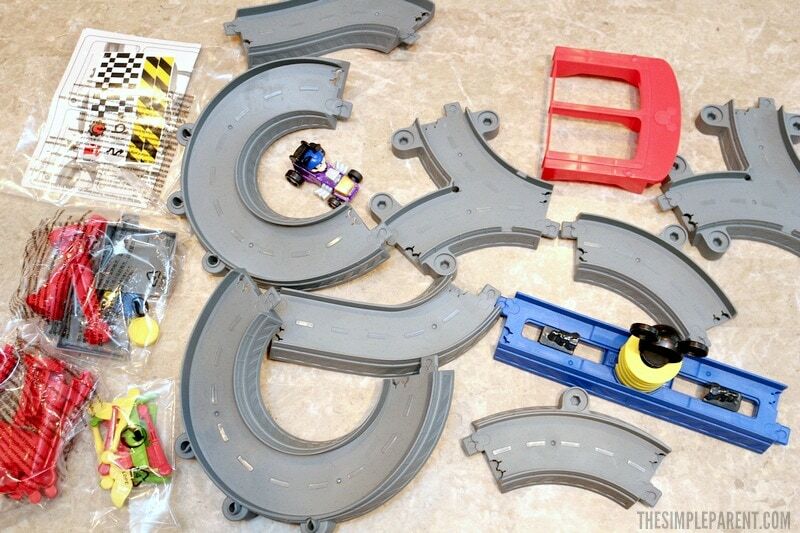 The set is available at Walmart along with other great Mickey and the Roadster Racers track sets! 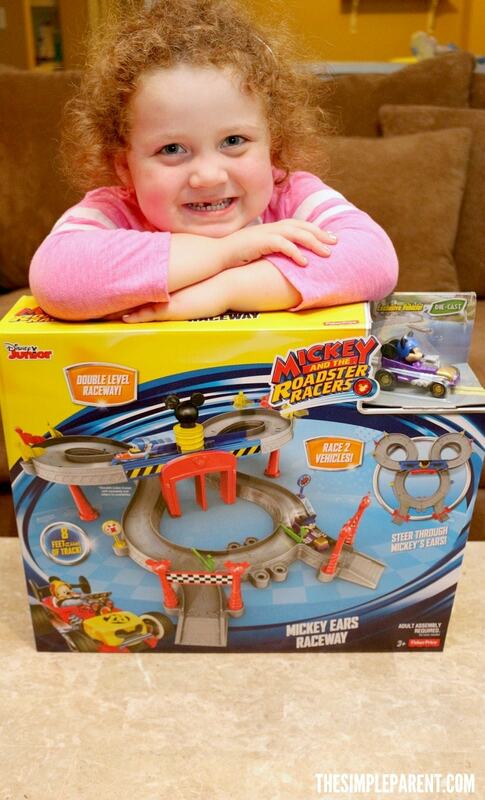 The Disney Mickey and the Roadster Racers – Mickey Ears Raceway (currently sold out) and the Disney Mickey and the Roadster Racers Speed n’ Spill Raceway are two great sets to start your collection!